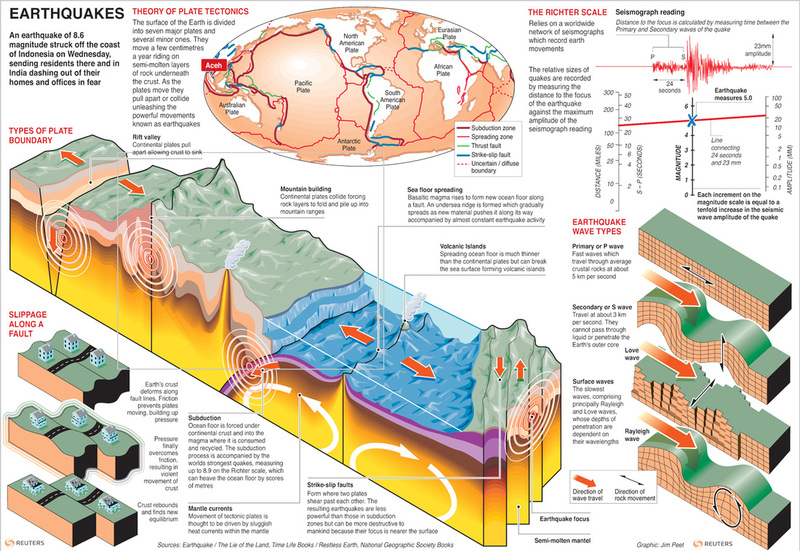 In this section you will have to explain how and why Earthquakes occur. Using examples will help you do this, in Geography we call them case studies. You may also want to explain how they are measured and explain what magnitude is. Explain anything which makes Earthquakes worse.